Mumbai: The Maharashtra Association of Practicing Pathologist and Microbiologists (MAPPM) has recently registered a complaint against a man who acted as a Pathologist working in the remote area of the state. The accused man has been booked by Khandeshwar Police station. The man is identified as one Rajendra Nikam who pretended to be a Pathologist in association with certain pathology laboratories in rural areas. He was found to be signing laboratory reports as an MD Path. The pretence came to light when the officials attached with the Maharashtra Association of Practicing Pathologist and Microbiologists conducted a routine survey of laboratories in the area. The Association, later found that the man was not registered under the Maharashtra Medical Council (MMC) and Indian Medical Council (IMC). It was futher found that no such registered Medical practitioner with the qualifications of MD Path exists. Consequently, the association filed a complaint against Sidhkala Computerized Pathology Lab and Rajendra Nikam. 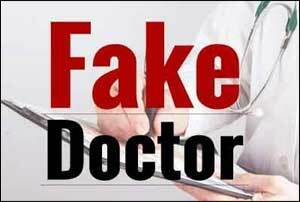 Medical Dialogues had recently reported that an Insurance Company had filed a complaint with the Maharashtra Medical Council (MMC) against a Pune-based woman pathologist for allegedly lending her signature print to various laboratories to sign on pathology reports without her personal supervision.